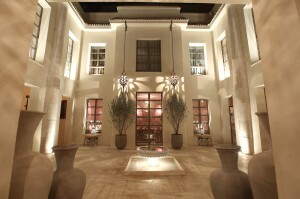 There are scores of 5 star hotels in Marrakech and more arriving on the scene every year. There are thousands of riads, tucked away in the Medina, whose aesthetic, service and price point range from hostel to the pinnacle of style and sophistication. The vast majority of these reinterpret the Moroccan look, sometimes with great effect. Personally, however, I am a bit tired of the over decorated surfaces, heavy fabrics and dark interior spaces. 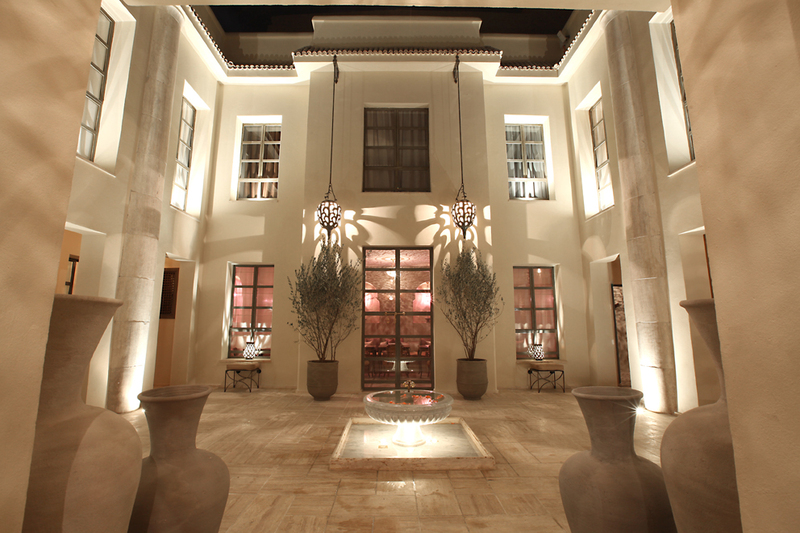 Riad Joya, a 7-bedroom oasis of serenity and beauty, opened in December, and it is one of the most beautiful I have ever seen. Just a short distance from Place Djemaa el-Fna, this spare, very wide house offers luxurious comfort, perfect service, diverse and delicious menus (the owners are Italian) and the opportunity, due to its size and the relative uniformity of its rooms, to become a private home for a family or group of friends. 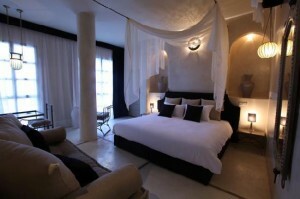 Even if on your own, however, it will still feel like your home in Marrakech. 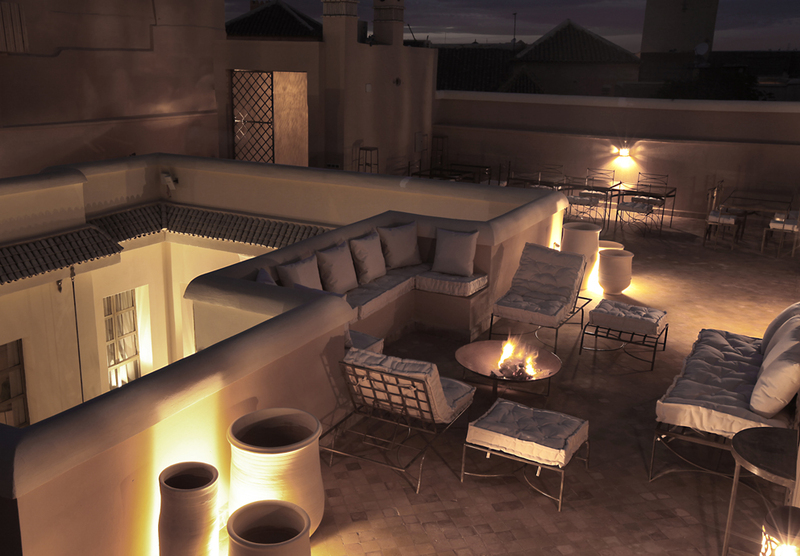 As with all riads, Joya has a rooftop for sunbathing, breakfasting or sharing an aperitif under the stars. Theirs, however, is surprisingly commodious, wide and spare and comfortable, and we shared a drink and hors d’oeuvres there with Sophie, one of the three owners, before heading in for a delicious dinner. It should be noted that two of the three Italian owners are no newcomers to the hotel industry. Sophie worked for Starwood, and her beau is General Manager of one of my favorite hotels in Italy. 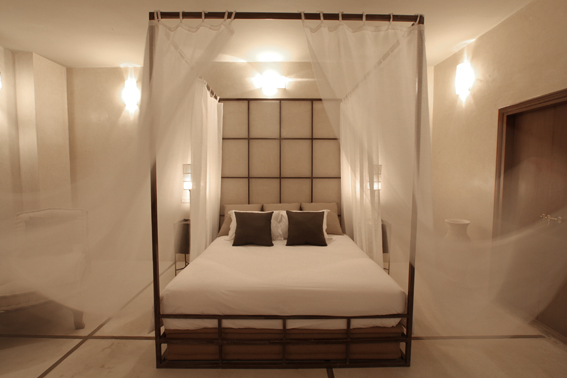 Together with their Italian designer, they have created a meticulous, original, piece of heaven.